Now movie nights will never be the same. 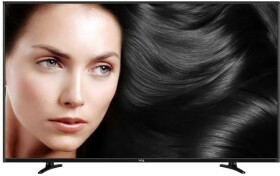 Watch Hollywood and Bollywood blockbusters in FHD on the Vu LED-55K160GAU 140 cm (55) LED TV. With high light transmittance, brightness, and contrast, you can view the contents of this 127 cm (50) LED TV clearly even when you are sitting on the sofa or lazing on the bean bag. This TV offers a wide viewing angle of 178 degrees. Thanks to the inbuilt Digital Media Player (DMP) and two USB ports, you can connect a USB drive to open videos, music files or photos. 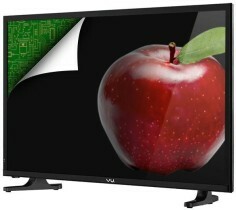 With the VGA or HDMI inputs, you can even connect your laptop or personal computer and view the contents on this TV's screen. 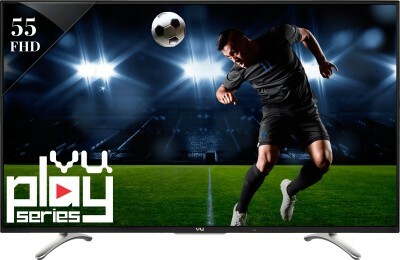 Watch late night shows or Live telecasts of football and cricket matches on this TV without disturbing anyone. Plug your wired or wireless headphone to this TV's 3.5 mm headphone jack to enjoy listening to commentary even at a loud volume. This TV has an A+ grade pure prism panel which eliminates ambient light reflection so you can view rich and detailed images. Images are rendered sharp and clear, even when you are close to the screen or when the surroundings are brightly lit, thanks to the Micro Lens Optical design. You don't need to draw the curtains every time you watch a TV serial or a movie. Bid goodbye to extra speakers or wires - the Digital Noise Reduction (DNR) feature of this TV delivers rich, surround sound in any room for up to 20 square feet. This TV has a slim frame, thanks to the Advanced Edge LED technology. 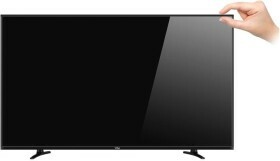 This Vu TV uses high-grade dust and moisture-resistant components, along with glass epoxies and solid industrial components, to ensure the stability of this TV. Achromatic technology ensures blacks and whites are given greater depth. Also, the full-colour optimizer automatically analyzes brightness, colour, contrast, clarity and colour temperature.